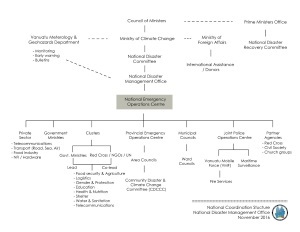 The National Disaster Management Office (NDMO) is a government department under the Ministry of Climate Change and Adaptation. 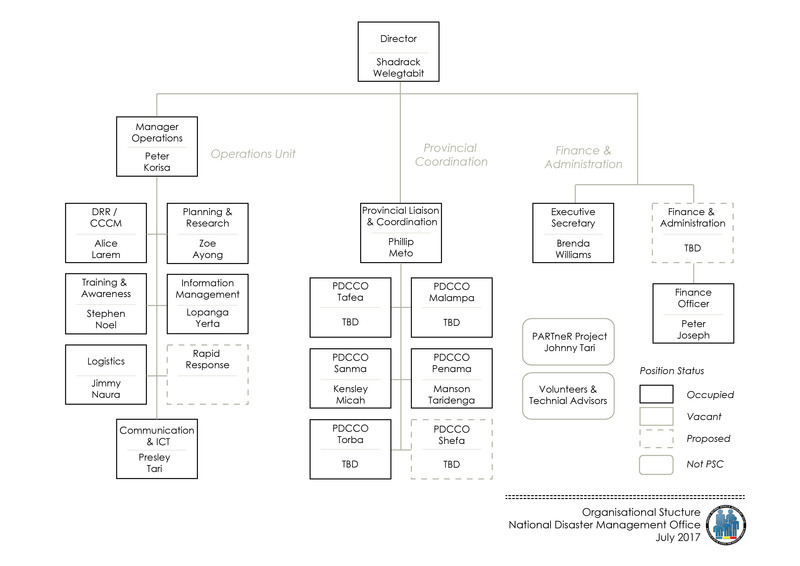 It is the government’s agency responsible for coordination of responses to emergencies and disasters across Vanuatu. 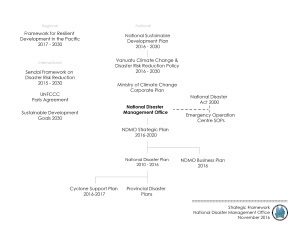 Our vision is to ensure that there are resilient communities throughout Vanuatu by integrating the coordination of Disaster Risk Management and Climate change Adaptation into sectoral plans, policies and budgeting. 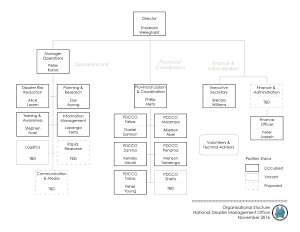 NDMO works to achieve its vision by being ‘The National emergency and disaster coordination agency to improve its coordination mechanism and building strong capability through establishment of solid partnership with other line emergency responders in country to continue to save life and property of all citizens'. 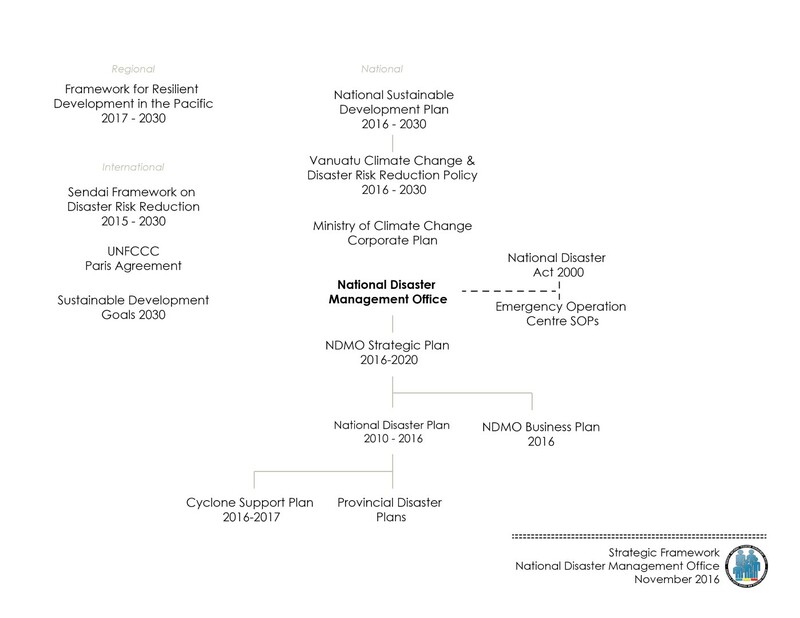 NDMO wants to achieve this vision through effective coordination of responses to emergencies and disaster; strengthening disaster and climate change network at National, Provincial and community level; mainstreaming DRR and CCA programs and activities into other sector plans, policy and budget; inform community and partners at all layers on hazards and risks for safer development planning program; improve effective and reliable communication networks and linkages amongst all partners at the national, provincial and at community level; and facilitate capacity building on DRM and CCA at all levels. 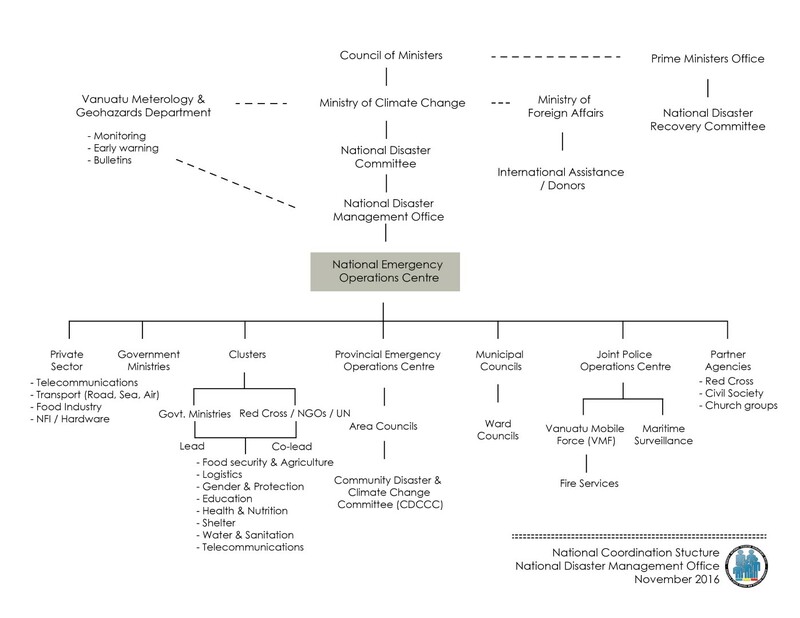 NDMO focuses its work into disaster preparedness and response. 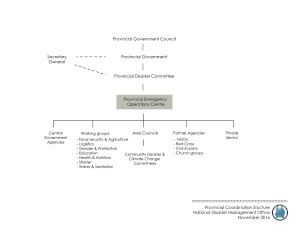 The department works closely with local and international NGO helping communities to be disaster resilient in the development and strengthening of disaster risk reduction and disaster management plans, including mitigation, response, relief and recovery as a whole. We work with the private sector as well in terms of Telecommunications, transportation and hardware houses during emergencies. 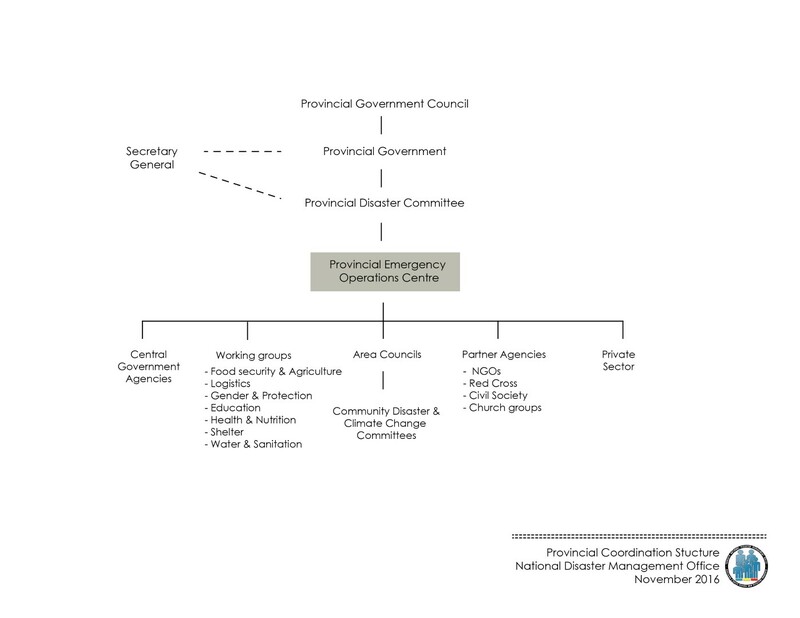 Our work expands to a collaboration with the Municipal council as well when talking about the people living in the municipal area.